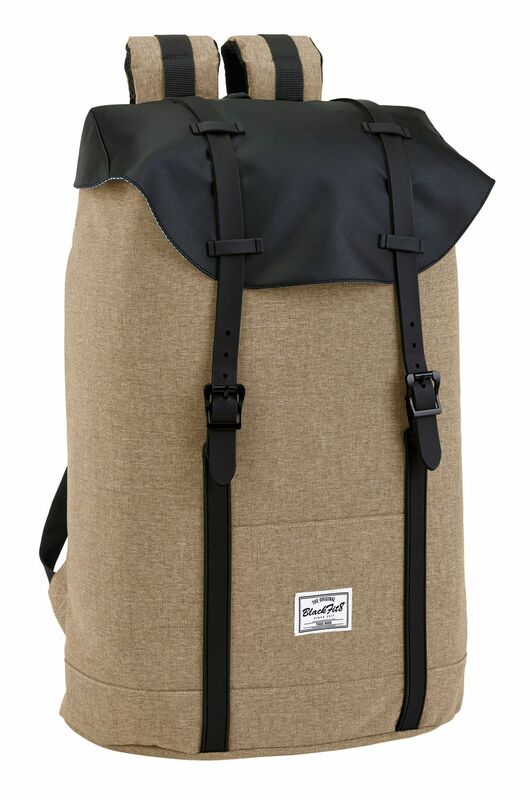 Blackfit Black & Sand Laptop Backpack With Flap 15,6"
State of the art backpacks with a beautiful retro design. 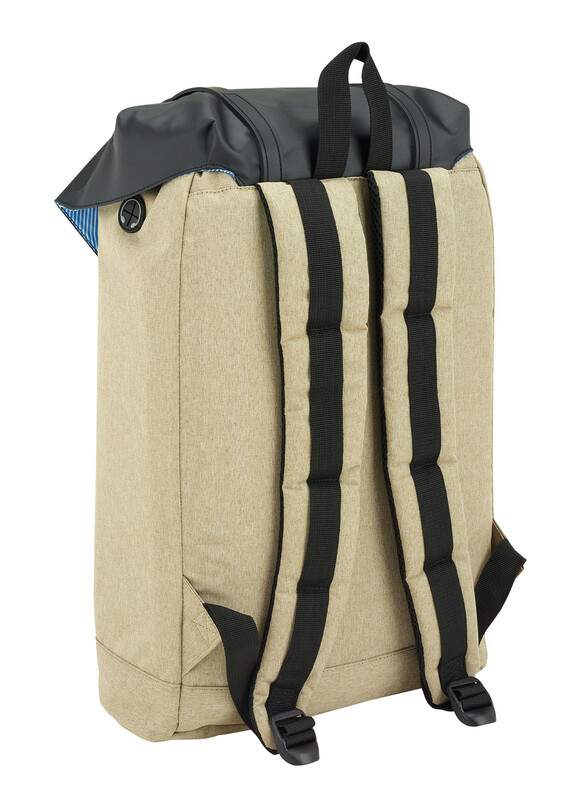 Our top of the range premium backpacks by Blackfit8. Designed in Spain, these gorgeous bags are made of high quality materials and features a padded laptop compartment (for devices up to 15.6 inches) a front pocket and even headphones outlet. The design is modern stylish, the zips are smooth and unbeatable quality. Perfect for school, work and travel.